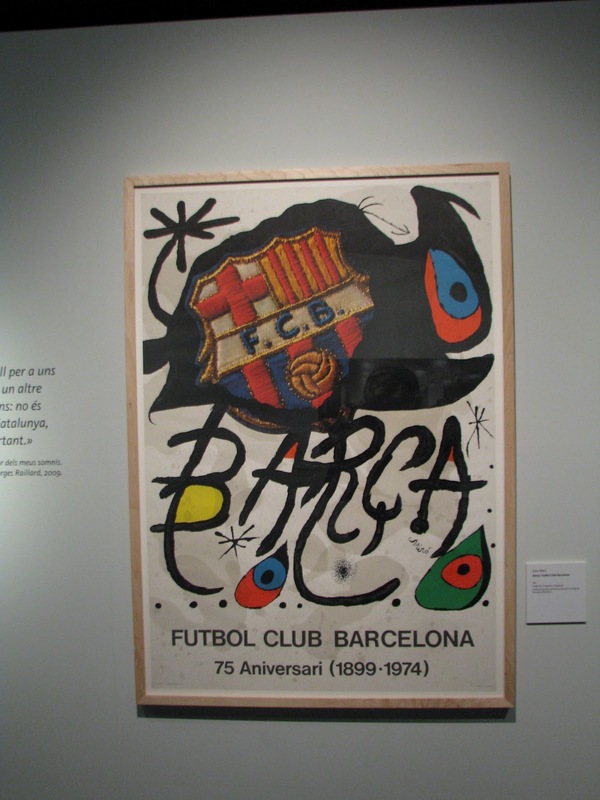 Currently at the Museum of the History of Catalunya, there is a special exhibit of Catalan art, Joan Miró's (1893-1983) poster work. His work in the later years of his life was a passionate response to the Spanish Civil War and the first months of the Second World War in France. Under the political restrictions of Franco's regime, Miró remained a symbol of international culture. His paintings of the late 1960s and early 1970s became a sign of resistance and integrity in the final years of the regime. This particular exhibit included posters he had been commissioned to create for various political intentions during that time period. Here's a little bit about him: Joan Miró was a Catalan artist who produced work during my favorite turn-of-the-century. I love what was conspiring with art and literature in Europe from the the 19th to the 20th century. 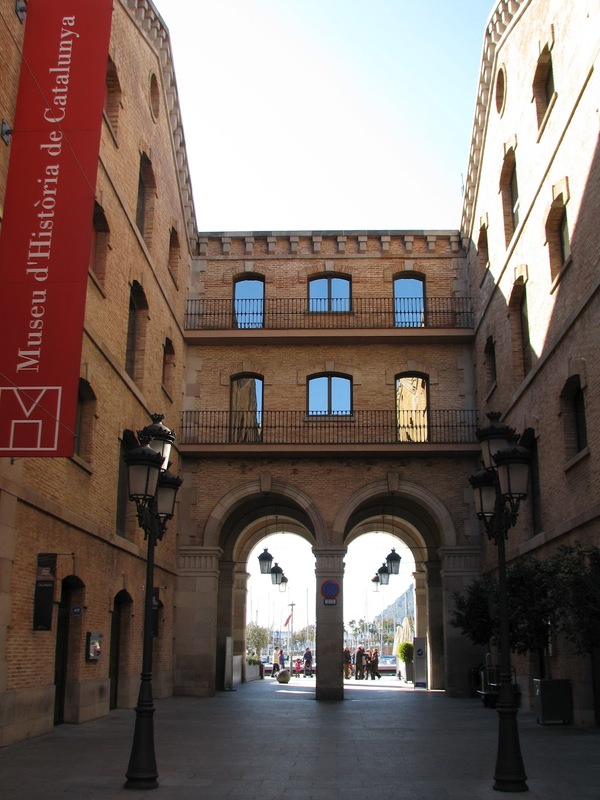 Miró went to the same art school in Barcelona as Picasso, Escola de Belles Artes de la Llotja. But his art speaks to me, maybe more than Picasso's. When he branched away from realism, his art took a symbolic twist, paring down to essential shapes. One biographer wrote, "He expanded painting to the point where it intersects with poetry." Perhaps this is why I am drawn to it. He spent a third of his life in Barcelona. The rest of the time was split between the Tarragona countryside, the island of Mallorca, and France. He was even part of the crew who moved to Paris in 1920 to cavort with Picasso, Hemingway, Joyce, and friends. But the leitmotifs Miró is famous for began to really emerge while he lived in Normandy during WWII: women, birds (the link between heaven and earth), stars (the source of imagination), and a sort of net entrapping all these elements of the cosmos. You can see how his painting came to be called poetry. All in black lines and figures filled in with primary colors. Even a supporter of FCBarcelona football. But of course, FCBarcelona "supported" Catalan culture even during Franco's regime, so naturally Miro would support FCB. This a photo of a celebration which took place on September 1, 1976 with100,000 people assembled in Barcelona to celebrate the fall of Franco's regime which had suppressed any kind of Catalan nationalism. 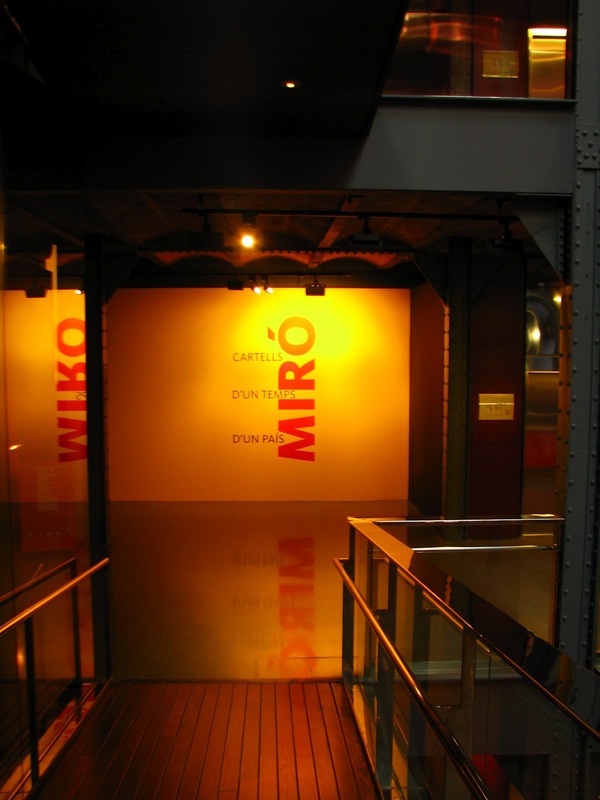 This was Catalunya's first Nationalism Day, and a proud day for Miró. 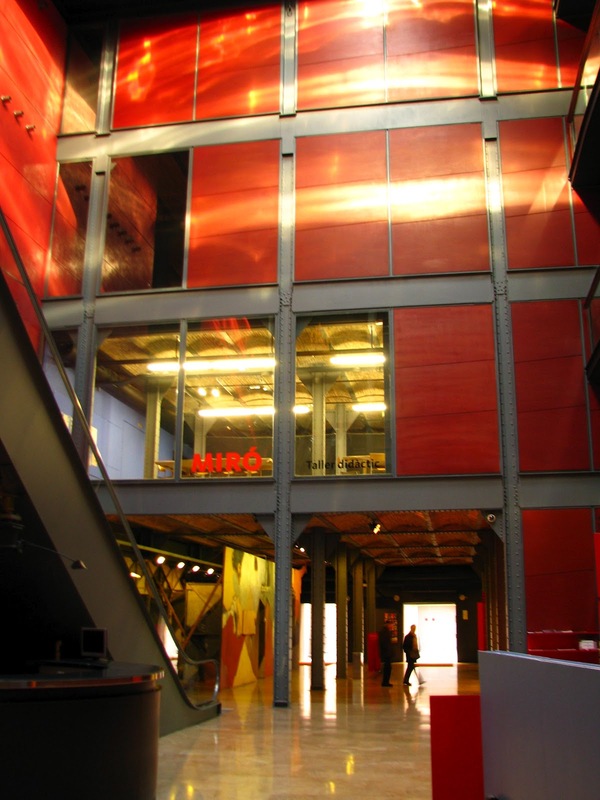 The Museum of the History of Catalunya itself is in an impressive building. It is in the Palau de Mar building facing the harbor. It was an old port warehouse which was renovated into a museum.